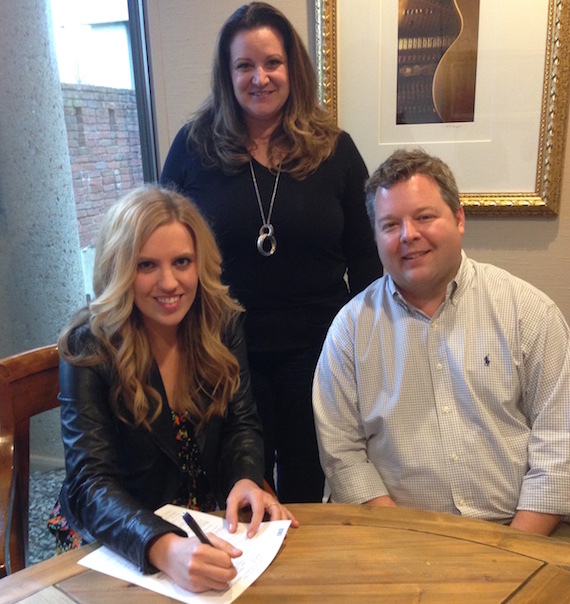 Circle S Records artist SaraBeth has signed with performing rights organization BMI. 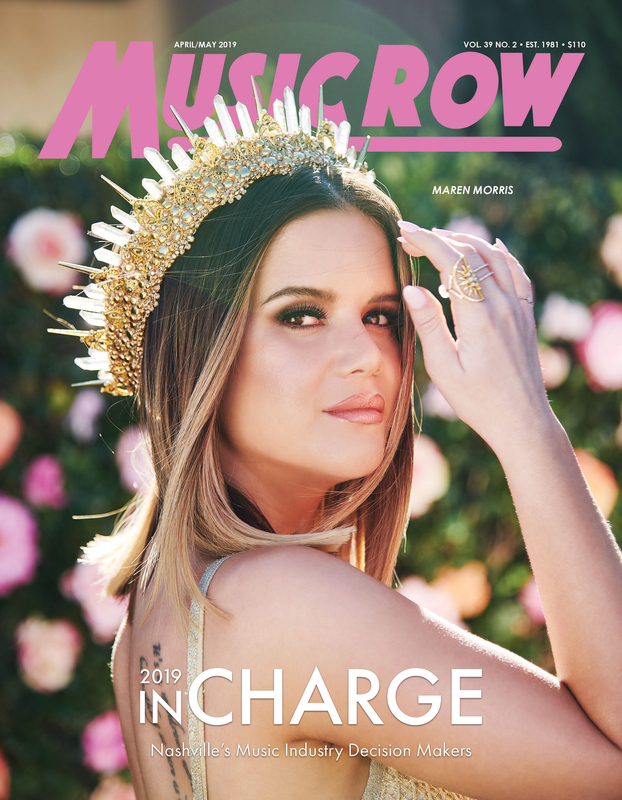 Pictured (seated, L-R): SaraBeth, and BMI’s Senior Director, Writer-Publisher Relations Bradley Collins. 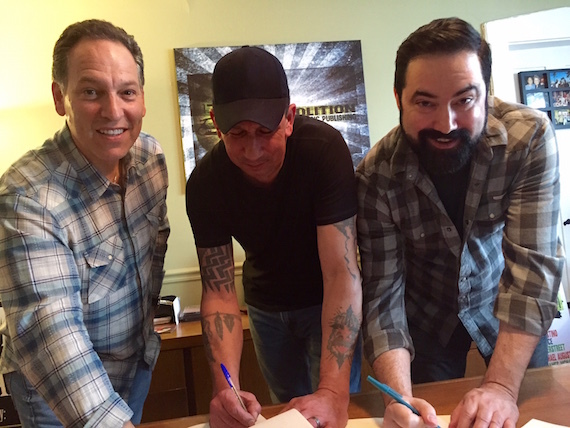 Demolition Music Publishing and SB21 have announced a joint venture signing of Nashville guitarist and songwriter, Phil Roselle.